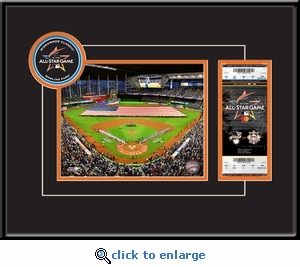 A replica 2017 All-Star Game Ticket. If you went to this game and have your own ticket, you can easily replace the replica with your very own ticket and truly say That's My Ticket! Three-inch 2017 All-Star Game logo displayed in unique circle cut out. Double matted in 2017 All-Star Game colors using white-core mat board and framed with a gloss black metal moulding. Overall size: 20 (W) x 14 (H) x 3/4 (D). 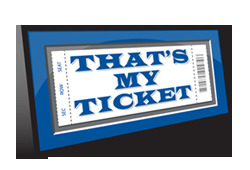 Includes easy-to-follow instructions for adding your ticket. GOT E-TICKETS? If you were fortunate to attend a 2017 All-Star Game but received an e-ticket for entrance into the ballpark, we have just the thing for you - a personalized 2017 All-Star Game replica ticket. 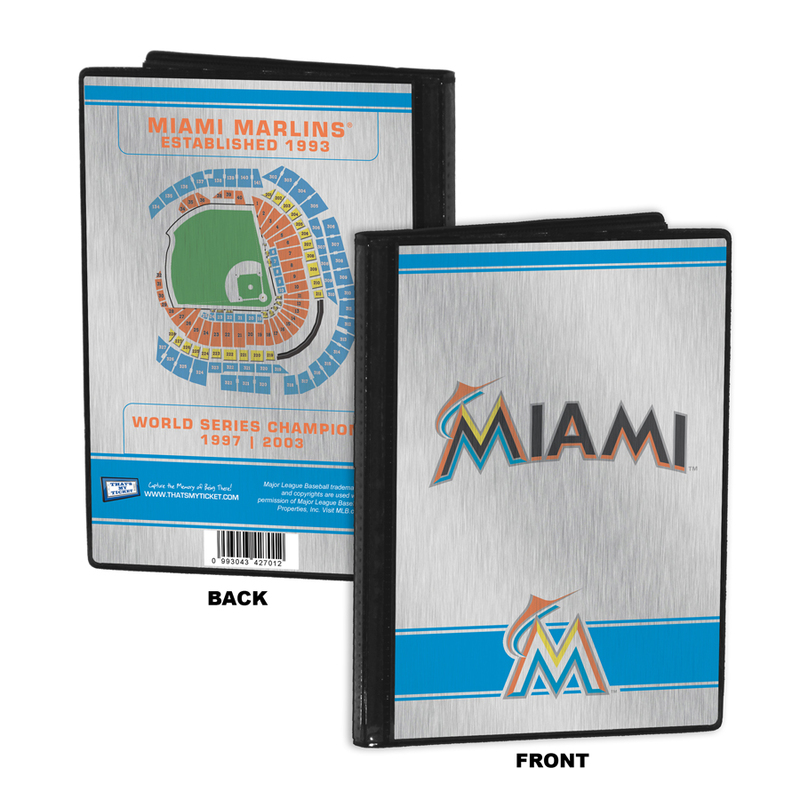 Simply provide us with your E-Ticket information above and your frame will come with a personalized replica 2017 All-Star Game ticket ($15.00 additional cost).